Kiddos Magazine | Celebrating Your Super Dad! Home Parents Celebrating Your Super Dad! When it comes to parenting, often times Mothers are the ones praised and given credit for raising their children. There are ample jokes to go around about how the men just cannot do what women do. Or that they don’t want to! There are a societal “norm” and gender roles. 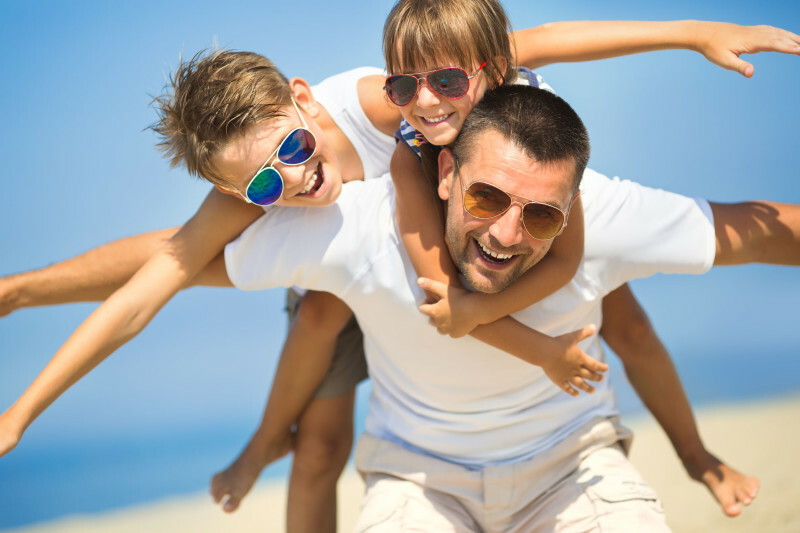 Dads can easily get overlooked. But, in today’s actual climate, there are more and more men that are stepping up to the plate to stay home with kids, nurture and love them up, and participate actively in their lives. No matter the label, or what society tells us, Fathers also deserve special attention and appreciation. Father’s Day is the perfect opportunity to let your family-man know how much he means to you. What can you always count on him for? What positive things does he make you feel? Help Dad relax on Father’s Day by offering to “switch roles.” Let everyone do the tasks or chores Dad does! It’ll be fun (and funny) watching everyone try to fill his (big) shoes! Create a video that consists of a compilation of photos, letters or notes, and videos. The notes can tell Dad how much you love him, and the videos can be songs or messages of love, inspiration and wishing him a great Father’s Day. Add some of his favorite music, and it’s sure to be a hit. This is a priceless gift he can look back on anytime he needs a boost. Unique, personalized gifts or tokens of appreciation are a sure-fire way to let Dad know just how special and important he is to his family. He is priceless, really. So have fun and be creative letting him know how irreplaceable he is on Father’s Day (and every day!). Camille Lucy is a Certified Holistic Health Coach, Certified Reiki Practitioner, graphic and web designer, business consultant, and Vice President of a local non-profit that “rehabilitates people through animals.” She is also a writer, a Mother of 3 girls, an artist, a Life-and-Love Junkie, a Self-Expression, and Development advocate, and – well, you get the point. She’s a lot of things, just like all of us. Camille is also the author of, “The (Real) Love Experiment: Explore Love, Relationships & The Self.” Learn more about her and her adventure(s) at www.CamilleLucy.com.